The PERFECT shirt. Is it attainable? We say yes. Or, at least we’ve gotten as close as possible to perfection. At Greener Cleaner, your shirts are treated with the utmost care, from start to finish. Our staff is trained to take every imaginable step to ensure that your shirts come back to you looking like new. 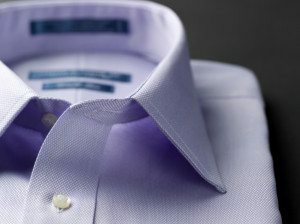 Your collar stays are removed before cleaning and replaced afterwards. We use only the best detergents on the market, utilizing multiple enzymes to get out tough stains, while leaving the whites and colors incredibly bright. Shirts are pressed on state of the art pressing machines, and each and every shirt gets hand touched to remove any imperfections. NO MORE BROKEN BUTTONS! Our inspectors are trained to inspect every single button, from the cuffs, to collars, to the front buttons. Broken buttons are replaced free. Plastic collar supports are inserted into each and every collar to ensure that the collars don’t get ‘crushed’ while in storage or in-transit. We’re so confident that you’ll love your shirts from Greener Cleaner, we’ll guarantee them. If you’re unhappy with a shirt we’ve cleaned for any reason, let us know and you’ll get your money back. What other cleaner can stand behind their service like that?